Social media is a fantastic way to show the personality of your business and speak to your customers on a more personal level. Create an Instagram and Facebook account to show off your beautifully presented dishes. Offering ‘social specials’ rewards your followers and retweet campaigns on twitter can be a great way to encourage shares. Mobile has now overtake laptop usage as the uk’s hardware of choise when viewing the internet. So it’s essential your website is fully responsive and optimised for mobile usage. With I tap to contact – to make it as easy for customers to phone, email or go social. 70% of people say they always open emails from their favourite companies*. If your customers love your food then they will open your emails. Email is a valuable platform to send out promotions, drive traffic to your website and cyustomers through the door. If you are reading this its proof they work! What other people say about you ccarries far more credence than anything you say about yourself. Trip advisor and yelp can be powerfull tools if your reviews are good and if they are you should be promoting this on all yopur marketing collateral. Create a direct mail campaign. As more marketing messages go digital the less cluttered the post becomes so your message has less completion. Canvas the neighbourhood with flyers of your menu or a monthly event. It’s inexpensive and reaches out to a potential local customer base. Buying local is becoming an increasingly important characteristic on the high street. Customers love to hear that they’re eating locally produced food, so sourcing local ingredients can do a lot to boost your fan base and give you a positive reputation in the community. Since 72% of all internet searches are related to local content. So make sure you have an effective internet marketing strategy as this can be very important. 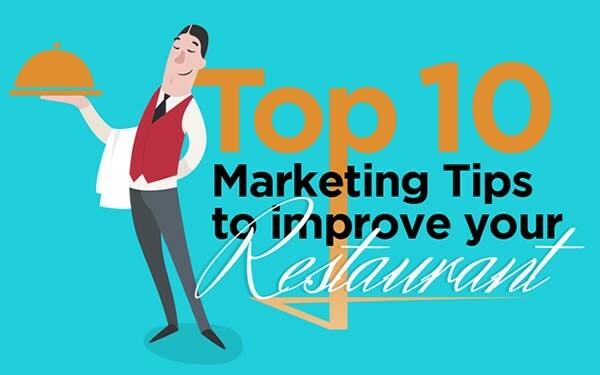 If you have a fabulous menu with a great design that is working for you then this may not be necessary, however if your menu is under par then customers might think your food will be as well. Changing your menu with the seasons demonstarites you always use the freshes ingredients. Newspaper advertising has become cheaper than you might think, with locally based readerships invest in the occassional large, eye-catching advert once in a while could be a good idea.